Be honest: How much effort did you actually put into building the About page on your website? Do you even have one? The importance of having an about page is underrated. It's one of the most visited static pages on your website. You might as well do something with this attention. We've just published our newest Thrive University course that will help you learn the ins and outs of creating a really powerful about page that will get your visitors engaged with your business right away. Why Do You Even Need One? There are so many different kinds of businesses - does yours really need an about page? What makes it so powerful and what can you do to turn even more of your visitors to leads and customers? What's the biggest mistake you can make? These are the fundamental questions you will get an answer to i﻿﻿n the first lesson of the course. In the second lesson of the About Page course, we will analyse the about pages of successful websites and learn what elements they include, how, and what purpose they serve. Some of the elements might surprise you! You'll also learn what are the elements you should definitely include in your about page and what you should start with for the most engagement. Enough of theory - let's build your about page! In​ the third lesson, you can watch me build an about page from scratch. Make yourself a nice tea - the page will be ready by the time you finish drinking it! 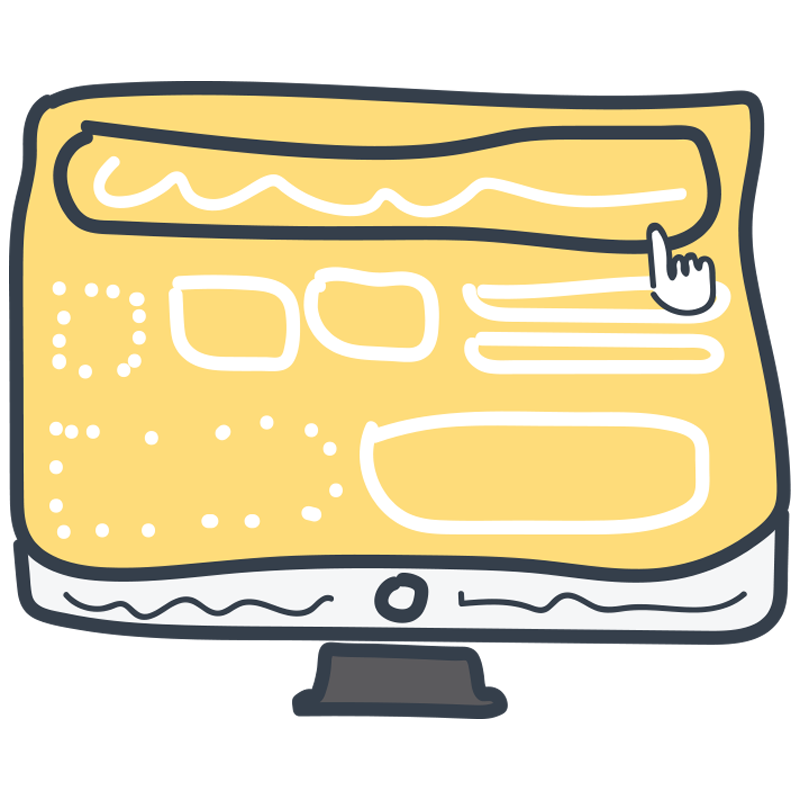 ​It's time to build your about page - or give your existing page a real boost! ​Sign up for Thrive University (or simply log in if you're already a member) and start learning today. It's completely free! If you have any questions, observations or course suggestions, leave a comment ​below - we'd love to hear from you! When Alexandra isn't imagining the 'a-ha' moments her Thrive tutorial videos cause, she loves watching the landscape pass from the comfort of a velocity train on the way to a new, vibrant city. She's also the creator of the Morning Mindset daily journal. Hi Alexandra. Thanks for your great course, it gave me good pointers that I will soon implement. Hello Steve! Thank you for letting us know about it, I’ve fixed the link. Excellent post and a very helpful set of instructions, Alexandra. And this on a topic (About Page) that is often neglected, yet so important. I invariably look at the About Us or About page of a site I visit. That’s where I get the impression about who the person(s) behind the site I am looking at is/are. It is so key. Thank you Sameer, we’re glad you find the course useful! where are the Thrive template clouds? i would like to upload the zipfile there. Hello Kel! Here’s how you can upload the zip file: https://thrivethemes.com/tkb_item/importing-and-exporting-custom-landing-pages/ You can now find this link in the description of lesson 3. Alexandra, on the Active campaign page, there is a little arrow that when clicked opens up more information about the company’s story. How can I replicate that look? Hi Alexandra – a useful tutorial. Thanks! Being a landing page, the template you provided at the end lacks the header elements (logo and top navigation). If you’re using a Thrive theme is there a way to add these to the top of the landing page? Hi Alexandra – ah, of course. That makes sense! Hi Alexandra, I followed your recommendation but after the landing page it’s added as content, the wordpress title of the page appear above the landing page, showing two times the word ABOUT. Any suggestion to resolve that? This is simple and outstanding. That rarely happens. I am loving the Thrive University – you guys keep adding value… I am also a teeny bit excited at the ‘course template’ … is this a hint of things to come… ie a template for course hosting? You can find similar templates here. I had just created my about us page after reading your article. I appreciate your comments and ideas to improve it. Hi Alexandra, Thanks for the great course! Exactly what I needed. I immediately implemented all your lessons and also used the template you provided. So thanks for that! It would be great if you could also do a course on the “Contact Page” explaining how we can make the most out of a great Contact page! Looking forward to that! Thank you for your feedback – we’re glad you found the course useful! Hi there! Great points, however I have a question about the part when you talk about sharing your numbers and timeline of your business. What if you are brand new? How can you best utilize your page when you are just starting up? Hello, thanks for your comment! In this case, you could share your experience before your business – maybe you freelanced for other companies, have outstanding education, or did something remarkable that is related to your business. What a great course. You are an excellent teacher. I have uploaded the template onto my new site, and will be creating an ABOUT page following your structure. I love all of this Thrive Training. I do have a question to ask you on a different design issue . . . I went to your “Digital Nomad” site’s About page, which I found to be elegant and beautiful. And I wanted to ask you what image/photo sizes you used for those two full-width static images? They were cropped very nicely, and they display perfectly. I’ve been having a hard time figuring out how to size and crop my images to display as “static” images. Maybe you could create a course on preparing images/photos for full-width use as “static,” for the nice parallax scrolling effect. In any case, I will be go through all of the courses you create for the Thrive Training. I am learning such valuable information so quickly. Great course! I’m wondering what modifications you’d recommend for a solo operator who is just starting with the brand? I’m a freelance WordPress Coach & Trainer. I have a few testimonials from students and clients, and I teach face-to-face classes in Los Angeles… So, I don’t have a “team” and I don’t have tons of “numbers” (data) to boast about ;-) LoL! Thanks! Thrive courses and videos are always incredibly useful! Hi Alexandra. I completed this course and created the following page but am getting conflicting feedback from friends about whether they think it is appropriate. I have clearly asked does the personal information about my client build trust or make them look like a flake for how they are perceived is critical. I loved this course because it gave me such insight about what an about page could and most likely should be. With the belief that an ABOUT PAGE is a pre-sales page as well, it is long but it is filled with the useful information my friend wanted enclosed. Now both I and my friend are uncertain for he is really putting himself out there. One the one hand, he and I think that is what the people he want to serve will value. On the other hand we are not not sure if this is really in the spirit and essence of what you shared in this course. It’s published so you can view it, but not listed on his site. The last feedback he got, was from a friend that said scrap it, inappropriate, start over. It was the only such comment he received that was so strongly opposed to the content, but it was a voice he valued as sensitive, open, honest and caring. So it has shaken his confidence in what we created after taking this course. Your thoughts would be coveted. Do we follow the essence of what you taught? What is your impression of this attempt to convey a genuinely personal touch and approach. We realize you cannot tell us if our approach will succeed or fail but we hope you could tell us whether we effectively communicated the elements you suggested and your own take on what my friend is trying to convey. He is no Ramit Sethi, but Ramit has long pages too is what he always says to me and I am not sure what to say to him in response. If comment and feedback was inappropriate just delete. Regardless, we both loved this course. It was very well done. Great course. Have you (or someone else in TT) made a similar course for other vital pages – such as service/product pages, or the homepage? Thank you for the nice course. Could you please advice if you would suggest to first build the prototype of the About page (e.g. in Axure or other mockup tool or maybe other one. If yes – please suggest) or would you suggest building it in Thrive Architect? How would you suggest to prepare the content for it – should it be the separate process (e.g. first I write some ideas in Word or other text editor) or again, you would suggest to use Thrive Architect for this too? So that what should be the workflow if you’re starting from the scratch. It depends… How many people are involved in the process? Honestly I don’t think you need to make a mockup (too much time, too little value added) for text, if you want feedback etc. writing it first in something like Google Docs makes it easier to get comments before then copying it to Thrive Architect. Hello there, I just wanted to say thank you so much for this course. I am not sure if I am allowed to post links here, but I did design an about us page for my website using this tutorial and it came out really nice. Thank you so much….